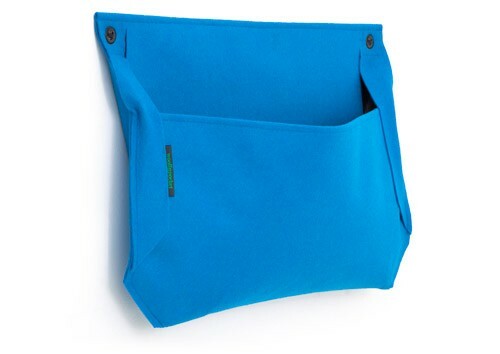 Wally’s are felt pockets made from 100% recycled plastic water bottles. 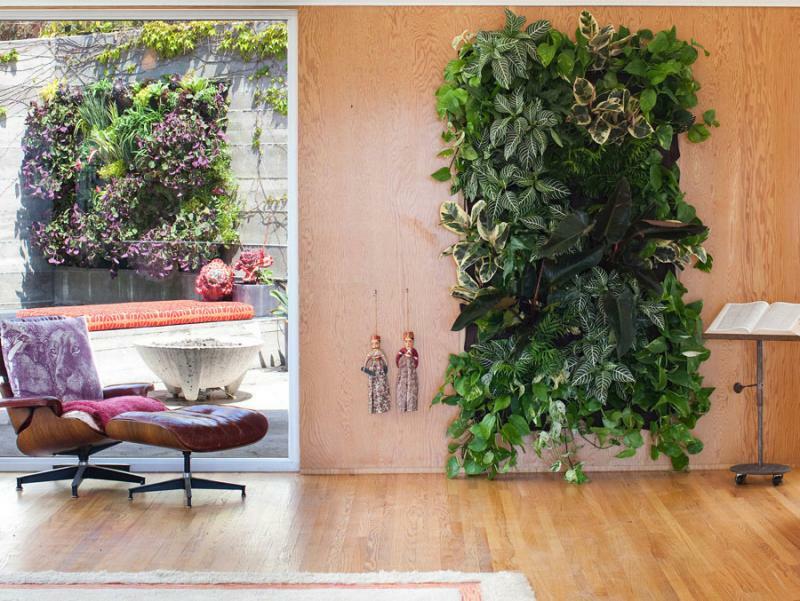 These sturdy pockets are designed to hang on your wall to create an instant vertical garden. They’re designed to be easy to use and can be installed almost anywhere! Wally’s are great for growing herbs and vegetables. 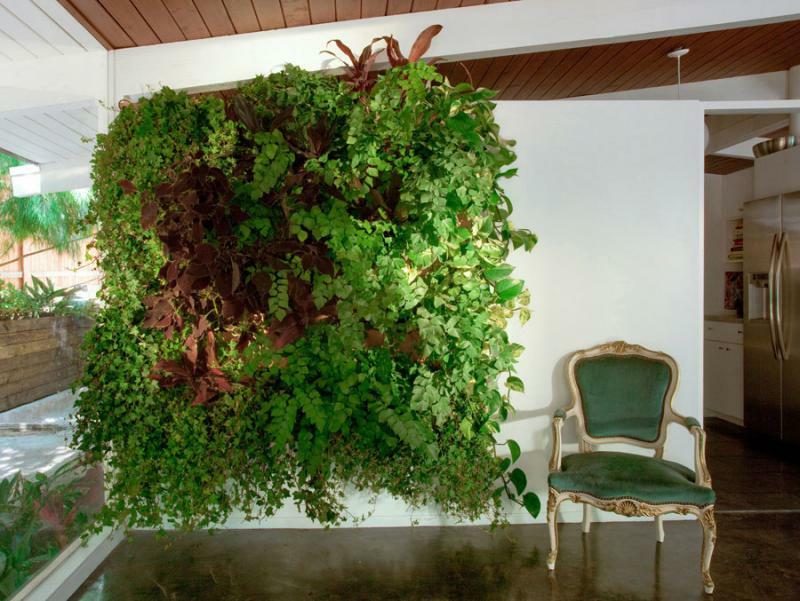 If you make sure your wally’s get enough light, you can even grow herbs in your kitchen! Wally’s work well outdoors as well and are perfect for sprucing up your fence or deck with beautiful, lush plants. 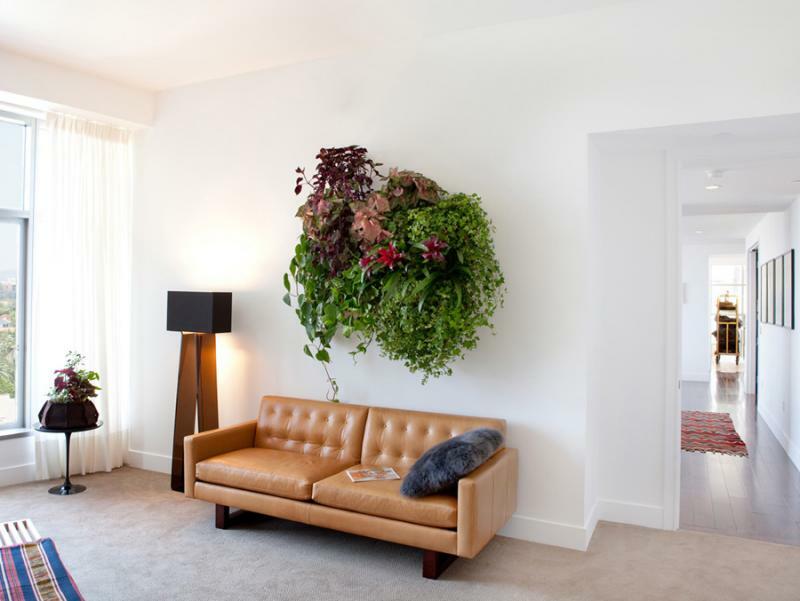 You can use one pocket or a bunch of them to create a full living wall. To hang them, just line them up and overlap their grommets. The options are endless: they can be used with drywall/sheetrock anchors, masonry anchors, wood/metal screws and zip ties for chain link fences. 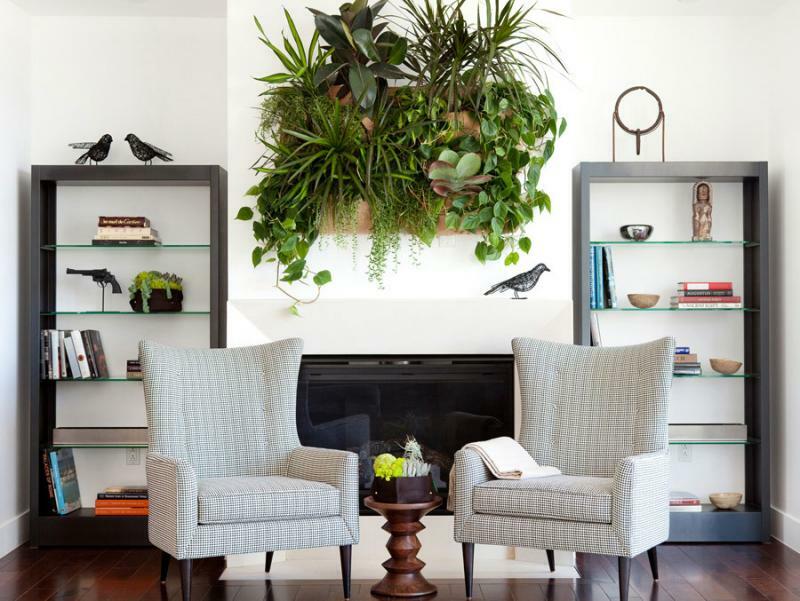 Fill your Wally’s with your favorite full-sized plants and high quality potting soil and you’re done! 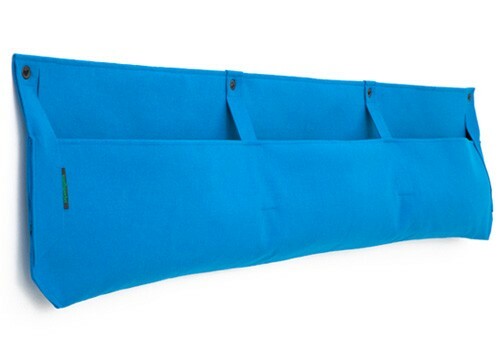 The indoor Wally’s have a moisture barrier inside that prevents your walls from getting wet. They also have a felt tongue at the top to direct moisture to the bottom of the planter to ensure it goes right to the roots. The barrier conserves water and helps to keep soil’s nutrition in your Wally. Outdoor Wally’s moisture barrier channels water to the plant’s roots, while also preventing your wall from getting wet. The moisture barrier in the outdoor Wally doesn’t go quite as high as the indoor version which means it gets proper drainage when it rains. Wally’s tongue wicks water down to the roots of your plants. So, don’t water the plant, water the tongue. The Wally’s are breathable at the front which allows excess moisture to evaporate from the soil and helps your plants stay healthy and thrive while eliminating the need for drainage.